Read no further if your requirements are simply for the Spain of sand, sun, sangria and nightclubs. The house on offer, in the heart of Manilva, is a unique town house (220 sq.m.) 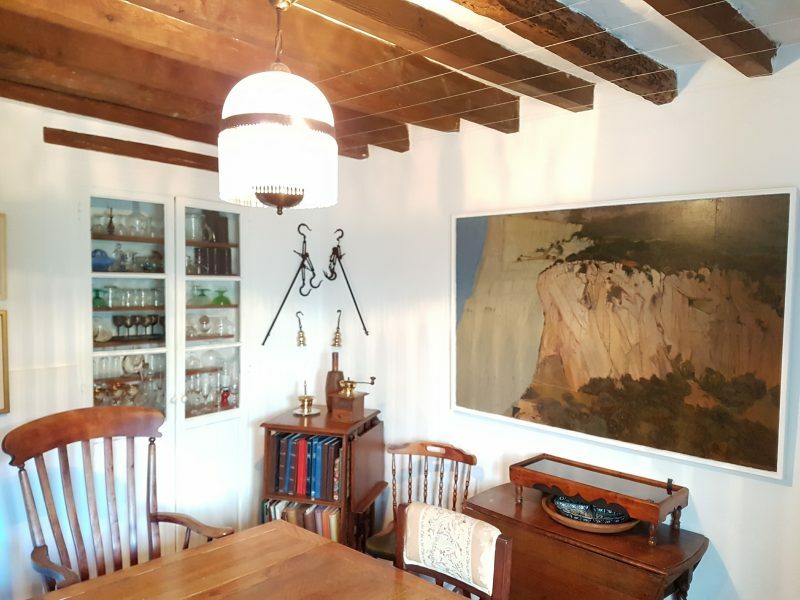 built circa 1800 and retaining many original features like beamed ceilings, old red-tiled floors and a small sheltered patio filled with mature plants. The roofs, however, are all new. Leading off the patio is the small once stable and hayloft, now converted into two substantial rooms currently being used as workshop and studio by the painter/potter owner. This annexe has a separate entrance and offers potential for a granny or adolescent flat. The house itself has in the past housed a miller and even featured as a very small and undistinguished inn. It consists of three double bedrooms, bathroom, dining room, ample lounge, kitchen and small study space. There are also three roof terraces with views out over t he town and more. The house has a spacious, tranquil feeling. The tale of how this house was bought and restored can be read in The Grapes of Warmth, by Mary Chiappe: a story that ranges over the past and present of this part of Spain. A Spain of certainly much more than sun, sand and sangria. In a town like this, in a Spanish street like this one, you can settle into becoming part of the community, as the current owners have done over the past thirty years. The town still holds its lively local festivals: small religious processions, the Vendimia (grape harvest festival), the annual fair, the Cavalcade on the eve of the Epiphany. There is a goodly weekly flea and street market and frequent cultural events ranging from major to minor. The area, to quote the owners, ‘is a blessed part of Spain’. Having decided the time has come to downsize, they hope the house will once again find ‘a good home’. 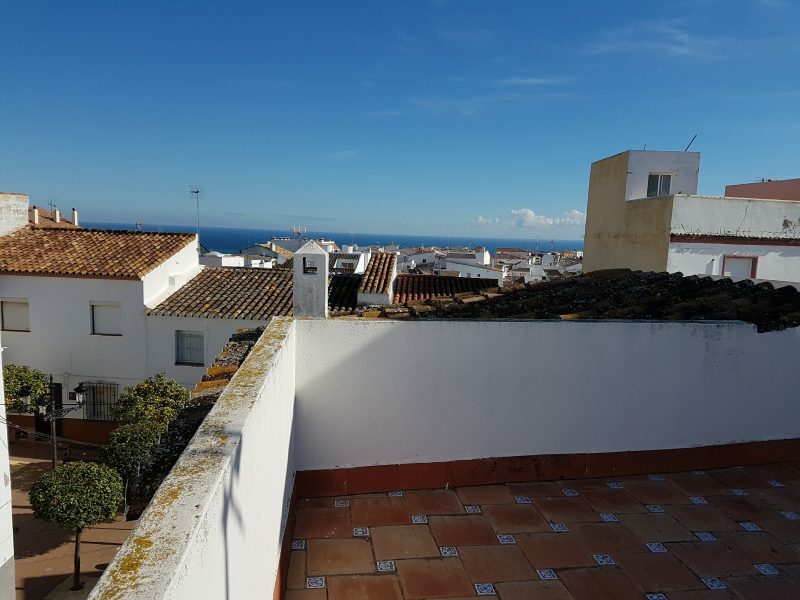 LOCATION: the quiet hill town of Manilva (population circa 15,000) has sweeping views of the surrounding area, from the Crimson Mountain (Sierra Bermeja, higher than Ben Nevis) down to the Mediterranean. The town is surrounded by vineyards and open country and the local muscatel grapes are the best you could wish to taste. Manilva is two and a half kilometres from the small coastal town of San Luis de Sabinillas with its 4 kilometres of – never crowded – sandy beaches and many cafes, restaurants and typical summer Chiringuitos, the delightful beach restaurants that have become immensely popular in the past decade. Only on one night in July is the beach packed along by the seafront for the Full Moon Festival. Manilva is an hour and a quarter from Malaga airport, and just over half an hour from Gibraltar airport. A short drive inland takes you to the sierras, the mountain ranges, which are dotted with the small white pueblos that, despite modernisation, take you back to a past of whitewashed houses, narrow streets and local cuisine. 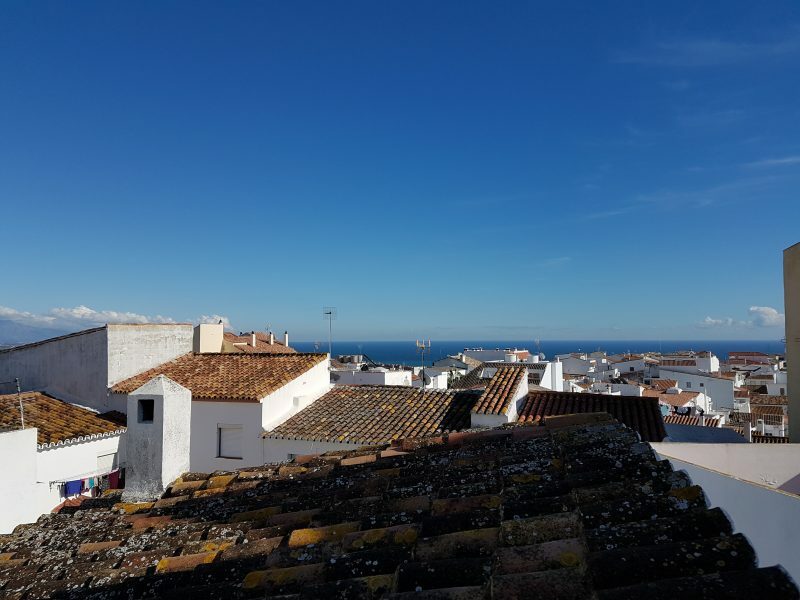 Names like that of nearby Casares – with its vultures nesting on the sierra that shelters the town, Gaucin, Jimera, Benalauria are a litany to a varied and rich historical past, and a promise of wonderful days spent exploring the area. 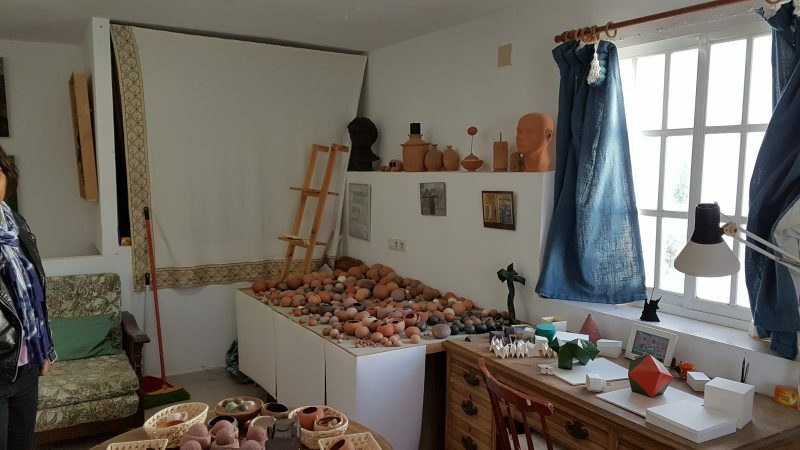 You will also enjoy the unspoilt mountain scenery as you drive up to the walled city of Ronda, the historical Roman and, later, Arab capital of the region. And Malaga with its museums and multiple delights, is a comfortable hour and a half away. 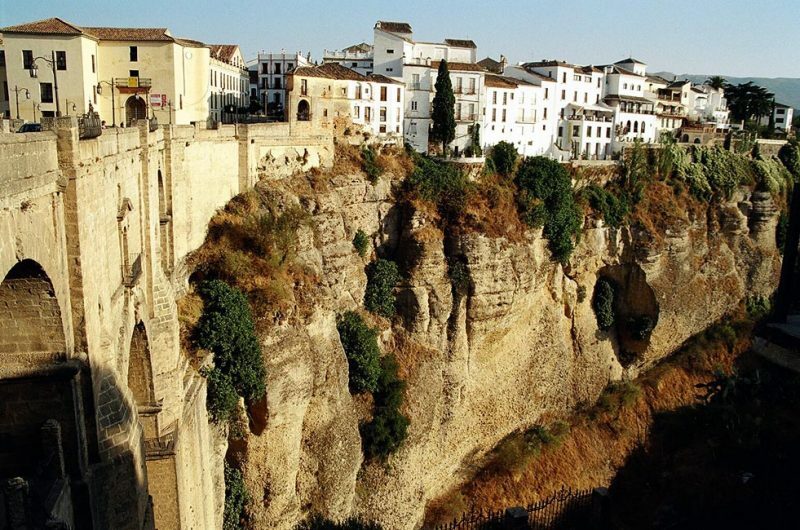 Whether it’s the historical Andalusia of the highwaymen (bandoleros) or the Arab baths or a wealth of small restaurants full of character and individuality, Ronda, with its three bridges spanning the impressive 100m-deep gorge and its stunning views over the plain to the west below the town, has it all. And back on the coast, Manilva offers easy access to a number of golf courses and to the small port of Duquesa with its many yachts and restaurant. A short drive of fifteen minutes will see you in the nearby town of Estepona. While Estepona offers the tourist the delights of a port, charming restaurant, a long, uninterrupted sweep of quiet sandy beach and delightful streets spilling over with flowers and fine murals, it is very much a Spanish town populated by Spaniards; a town that exemplifies the vibrant daily life of Spain.